The 24.2-megapixel, 4K mirrorless is all about speed, baby, speed. Sony has just launched its most impressive, and most expensive mirrorless camera yet, the 24.2-megapixel Alpha A9. Equipped with the first ever full-frame stacked CMOS sensor, it's all about speed, not resolution. The pixel count isn't that high compared to the 42.4-megapixel Alpha 7R II, but it can shoot up to 241 RAW, full-frame images at a scorching 20 fps, thanks to a processing speed 20 times faster than previous models. It also has an ultra-dense 693-point focal plane phase detection autofocus that can do 60 AF/AE tracking calculations per second. Sony's excitement is palpable at the A9 launch event, and for good reason. It has by far the best sensor tech on the market and supplies most other camera- and smartphone-makers, but the new model is the first to use its full-frame stacked CMOS sensor, driven by an upgraded BIONZ processor. 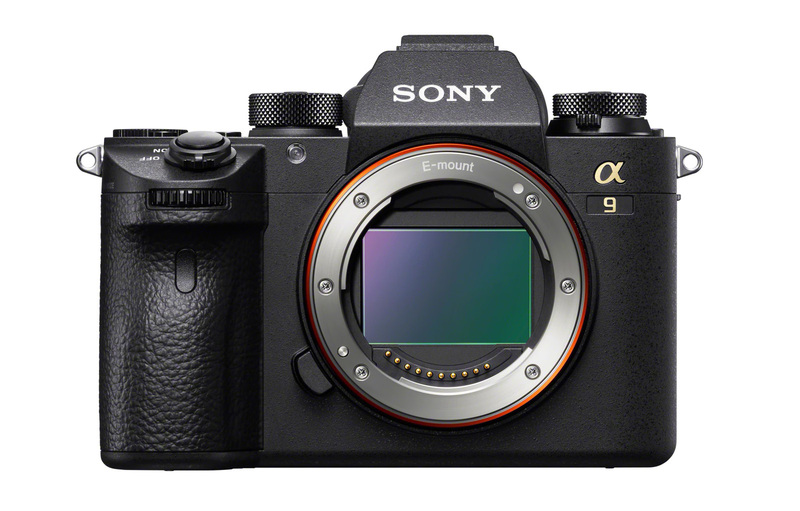 That allows the A9 to track "complex erratic motion with higher accuracy than ever before," Sony says. It also yields an ISO range from 100 to 51,200, expandable to 204,800 -- not quite Alpha 7S II territory, but the A9 has double the megapixel count. It's got a Quad-VGA, 3,686K dot OLED viewfinder, the highest resolution and brightest model Sony's ever used. It won't blackout during shooting, even at 20fps -- that'll give you "all the benefits of an electronic viewfinder ... that not even the finest optical viewfinders can match," Sony claims. It's also the first full-frame Sony camera with a touchscreen that, like the A6500 APS-C model, allows for touch focusing. That'll be especially handy for videographers, letting them easily shift focus from one subject to another. The A9 has a new, compact body with 5-axis image stabilization and a wired ethernet port for studio-based shooters. At the same time, it has over double the battery life (2.2 times) of previous full-frame A7 models and two media card slots, including support for high-speed UHS-II SD media in one of them. For video, as you'd expect, the A9 supports 4K recording, but it reads out the entire full-frame sensor at 6K, and oversamples it to produce "high quality 4K footage with exceptional detail and depth." That's a step up from past Sony full-frame models, which only oversampled a smaller, Super-35mm chunk of the frame, though the A9 can do that, too. It can also shoot 1080p video at up to 120 fps with full autofocus tracking. The A9 will start shipping in the US on May 25th for $4,500 and Europe in June for €5,300 -- that's a lot, but comparable to competitors like the Nikon D5 (pre-orders open up this Friday). Sony also unveiled the $2,500 G Master 100-400mm f/4.5-5.6 telephoto lens designed specifically for the A9, set to arrive in July.